Kumiodori was created by the Dance Magistrate Tamagusuku Chokun (1684-1734)and was first performed in order for Sho Kei, the thirteenth king of the second Sho dynasty, to entertain thesapposhi in 1719. Chokun wrote Shushin-kaneiri, Nido-tekiuchi, Mekarushi, Onna-monogurui and koko−no-maki, which are called the five works of Chokun. The impression formed on the sapposhi who were watching kumiodori for the first time was deep, and, following that occasion, kumiodori became the centre around which dance programmes were organized as coronation performing arts. Such programmes were the ones to be staged on the occasion of a new king receiving investiture, so their contents had to be worthy of the occasion. Kumiodori, the main element of the programme, was something of which Ryukyu was proud, and thus it came to be designated the national drama. 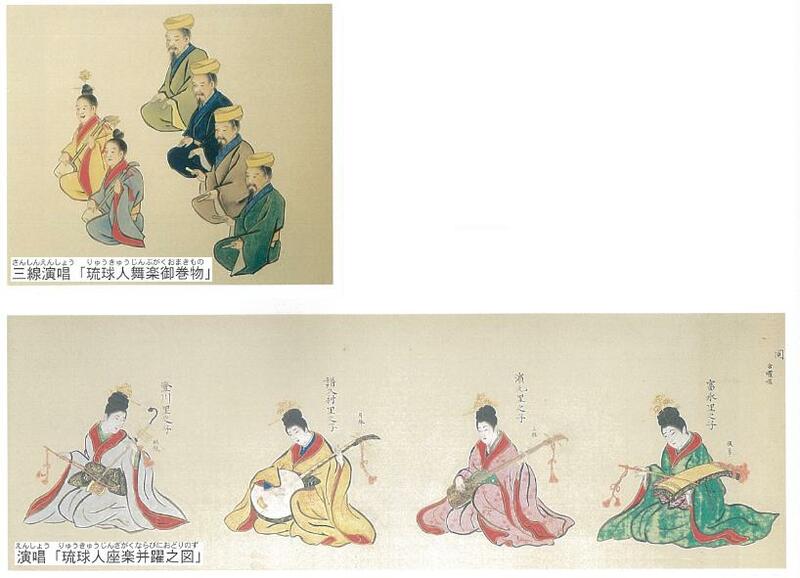 We are now aware of evidence of drama recorded in the kingdom era before the creation of kumiodori by Chokun. On April 27,1714, a public official named Nagayama Seijyu performed kangi and kyugi (defined below) in the south wing of Shuri Castle at the farewell banquet for the goodwill tribute emissaries to Edo. On December 12 of the same year, Chokun and N agayama, in charge of expressing goodwill on the Edo-nobori, performed zagaku, kangi, kyugi and sogaku for Tsugutoyo Matasaburo of the Shimazu family. 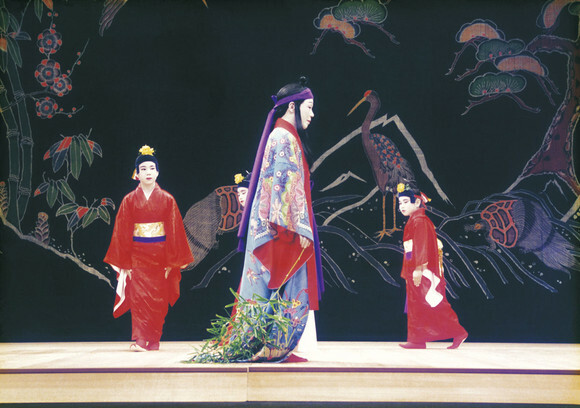 Kyugi is a generic term used to refer to Ryukyuan drama, so indeed there is evidence that a category of Ryukyuan theatre was being performed in the kingdom four years before Chokun’s　kumiodori. However, no document has been found which shows in　detail the contents of kyugi. Kangi is also a generic term used to refer to Chinese drama. Ryuyo and ranyo which appear in the　April 1752 section of the royal chronicle refer respectively to Ryu-kyuan dance and Chinese dance. 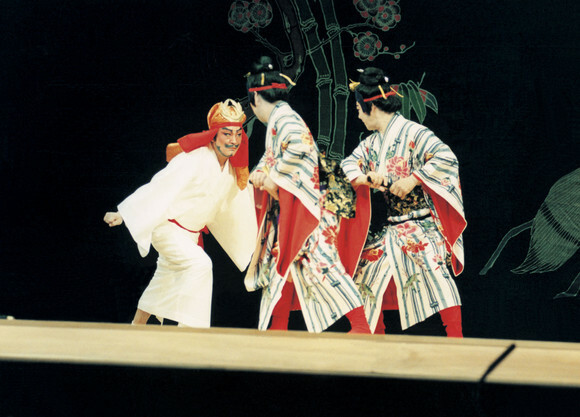 The circumstances under which Chokun devised kumiodori are recorded both in kyuyo，a Ryukyuan historical record, and in Chokun’s family chronicle. According to those two sources, Chokun　wrote kumiodori based on themes from ancient folklore. Chokun incorporated ancient folk stories and fables into new dramas and produced dramatic works not seen before. The novelty of his drama attracted attention. The sapposhi were envoys of a certain status sent by the Emperor of China to the Kingdom of Ryukyu for the purpose of investing　successive kings. A party of a few hundred including the sapposhi sailed to Ryukyu aboard a junk. When the seasonal south-west　wind blew in summer, they left the Chinese province of Fujian, and reached the port of Naha in about ten days. When the seasonal north-east wind prevailed in winter, they left Naha and returned to Fujian, a voyage which also took about ten days. Their stay in Ryukyu　lasted for something in the region of half a year. The main duties of the sapposhi were, fir t, to conduct the mourning ritual for a deceased king (yusai) and, secondly, to perform another ritual in recognition of the new king (sappo）. The Yusai was conducted at Sogenji, the Buddhist temple in Naha, while the sappoceremony was conducted in the front courtyard of Shuri Castle. The royal government took responsibility for entertaining the sapposhi during the mon hs of their sojourn. The court designated a dance magistrate who, being in charge of hose entertainments, which took the form of performing arts, prepared numerous shamisen (sanshin)1 music compositions, dances and kumiodori (kumiudui). Kumiodori is an art form which resembles opera with dialogue, music and action, but dance is also an element. The sapposhi brought with them, other than the imperial edict, an exauisite garment for the new king to wear at the investiture, and the headdress for the coronation. Because of this, the vessel conveying the sapposhi was called the kansen (the Crown Bearer). To indicate its importance, the honorifico was added to render it the okansen (ukwanshin). The first visit of a kansen occurred in 1404, and the practice continued until 1866, there being in all twenty-three visits. The performing arts of those times were generally called the okansen-dance or kansen performing arts because, needless to say the were meant to entertain the sapposhi who had arrived aboard the kansen . Okansen -dance consisted of kumiodori and miscellaneous dances, the latter being for the elderly, for males, for youths and for women. 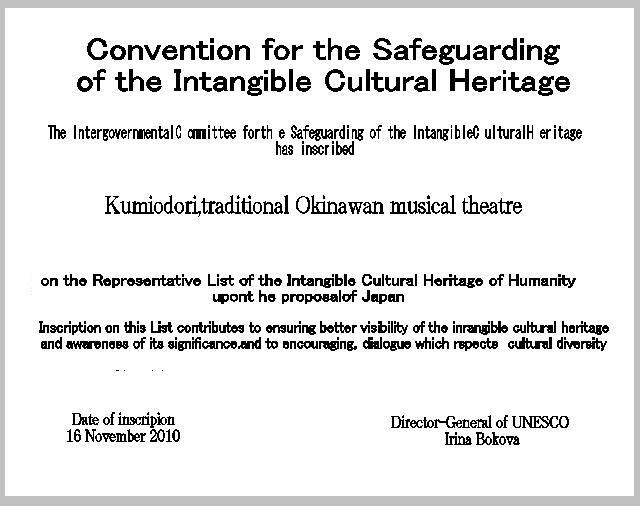 In November 2010, Kumiodori Preservation Society, has been officially registered in the intangible cultural heritage of UNESCO.